Are you looking for a special gift idea? Something extraordinary? Something exceptional? 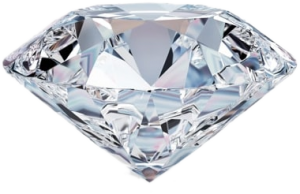 Then send someone their very own, real diamond of love. Something personal, original, and yet classy. As precious and unique as you are. Genuine connectedness meets appreciation to create your very own, personal diamond. Talk about exclusivity at its finest. Whether it’s an engagement ring or a family relic, this stone will become a talisman to accompany you through all of life’s ups and downs. The magic of your love will remain everlasting and indivisible in its purest form. This valuable and unique keepsake as a living piece of family history makes a great gift for children. A brilliant symbolizes success, dependability, and stability. And combined with the power of your love, it will work as a guardian angel to look over your children.